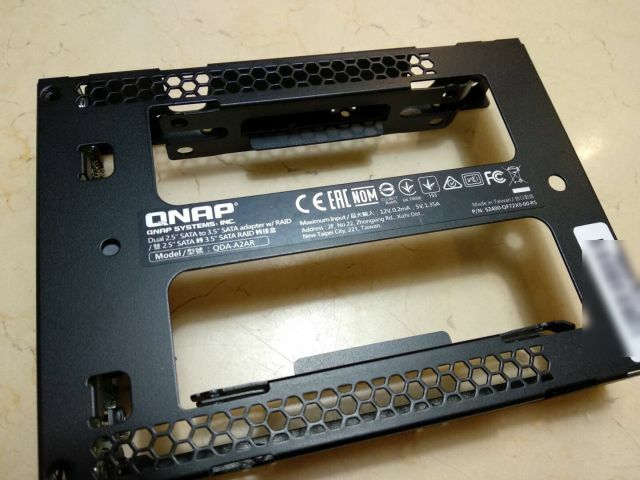 QNap 呢排出咗幾支外置同埋內置 expansion unit, drive adapter. 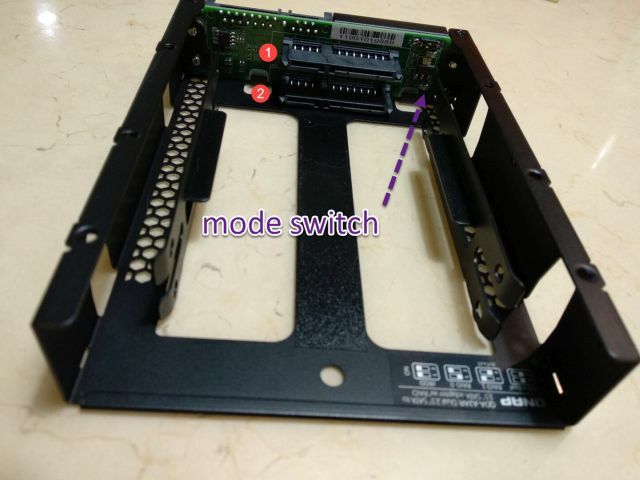 今日睇到 pchome taiwan 開賣, 即刻下訂 QDA-A2AR 試吓. 其實上個月喺 taobao 買咗一支 china 製嘅產品. 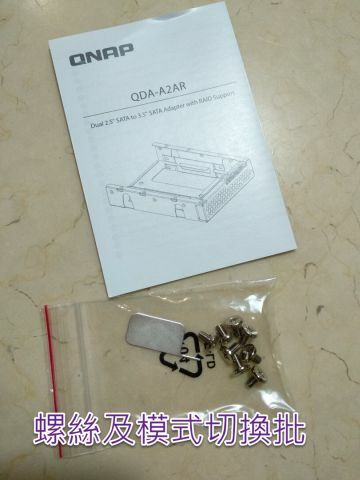 功能同 QDA 一樣. 不過質素差好多. 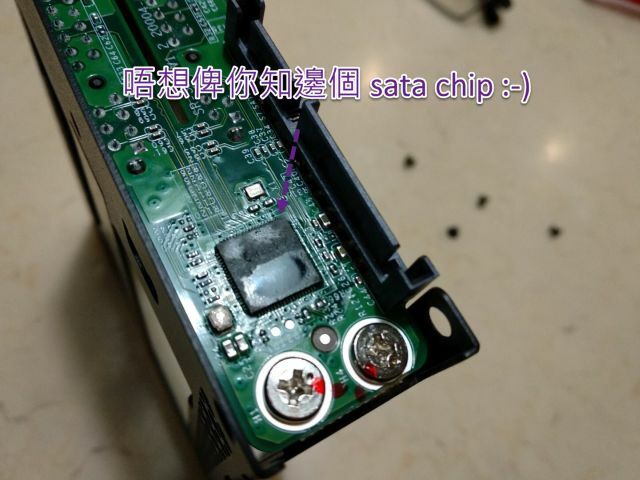 行冇幾耐就 detect 唔到 hdd. 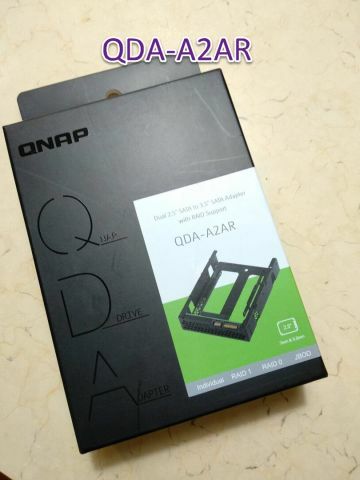 Qnap qda 呢個穩陣定好多, 不過 AJA 實測速度唔係幾快. 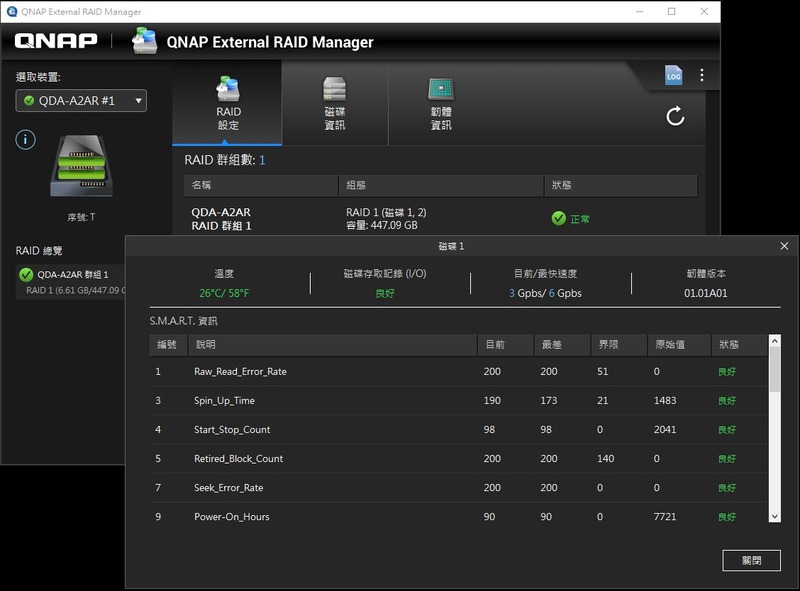 記得到 qnap 官網下載 raid box management 軟件, 而家支持 windows & mac client. 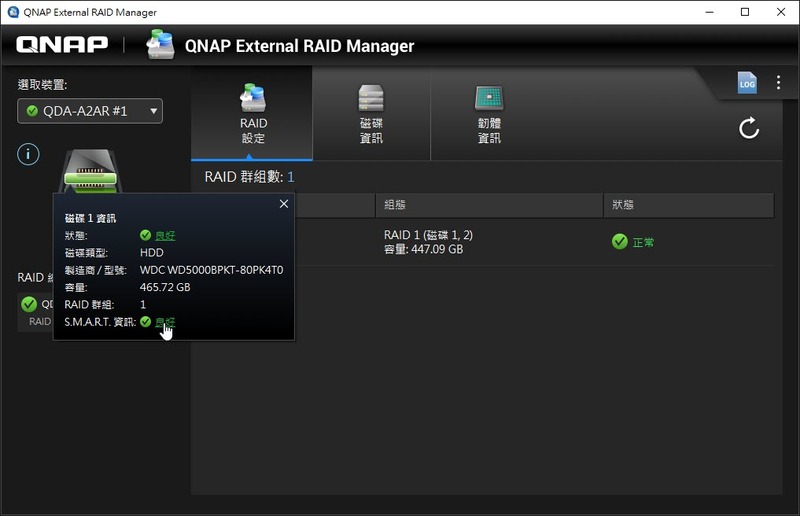 希望下次推出 linux 版本. 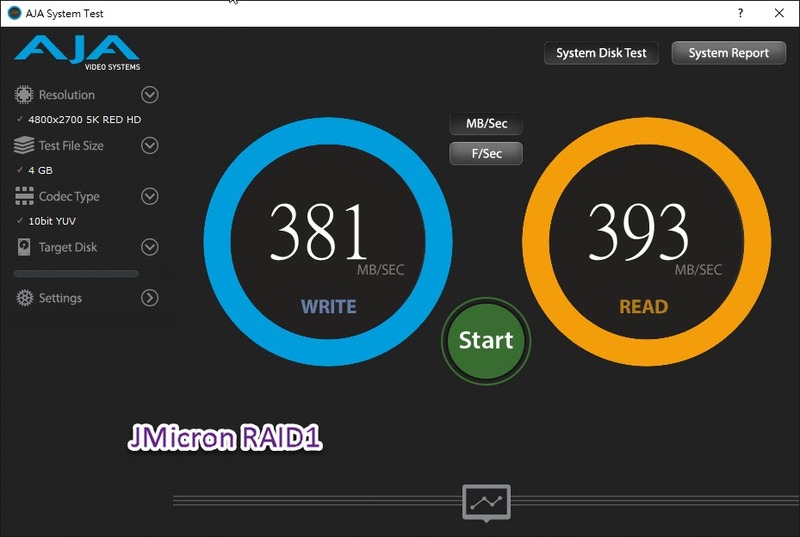 raid monitor software 方便管理 raidbox 入面 ssd/hdd. 可以睇到各支 drive 狀況. 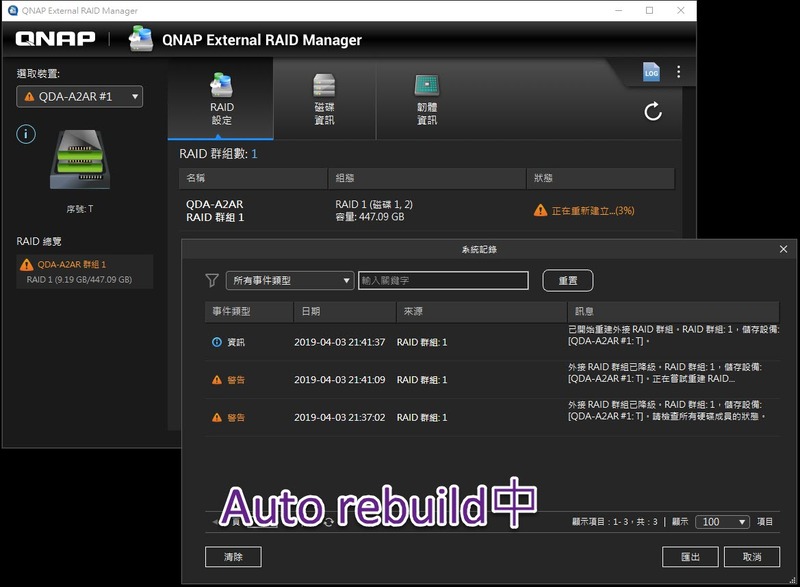 同埋 raid status, 包括 rebuild progress. 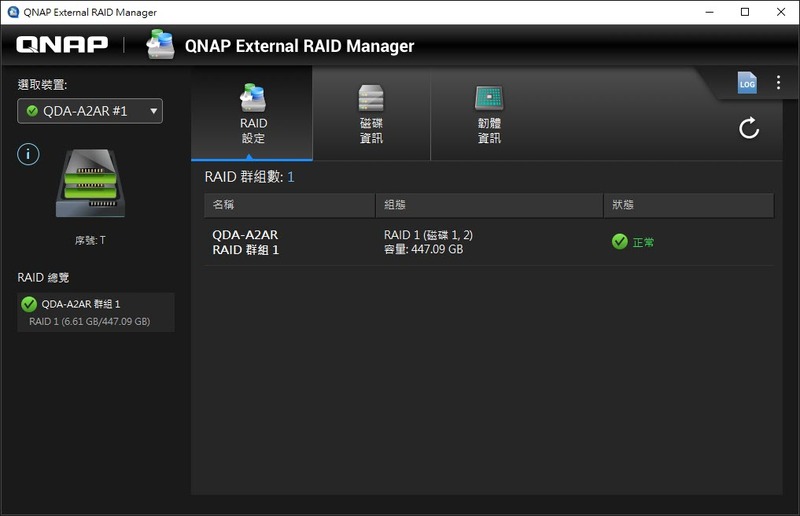 raid1 測試, 喺 windows 10 底下, raid box 行 raid1, 將檔案 copy 到 raid box 入面, 同時將 drive 1 unplug, 檔案 copy 都冇中斷, 一切運作正常. 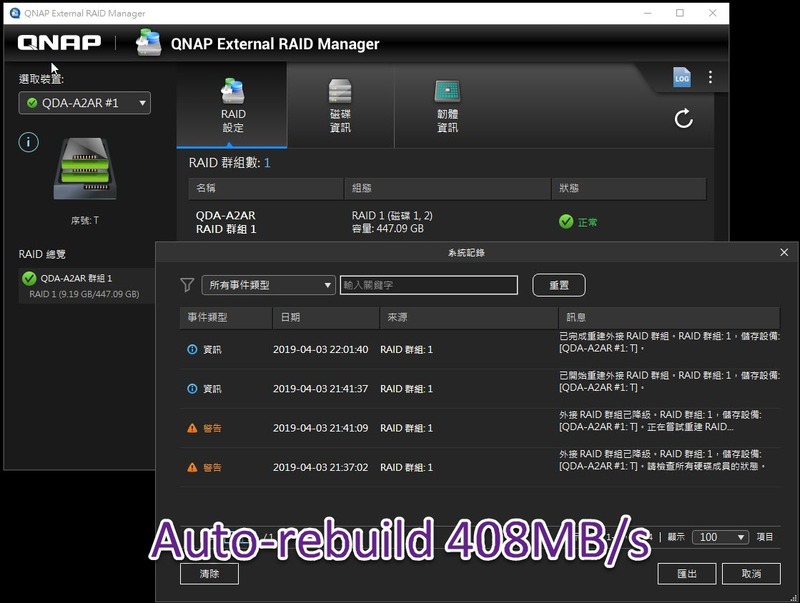 試吓 raid1 rebuild 速度都幾快喎, 一支 480gb sata ssd rebuild 只需要二十分. 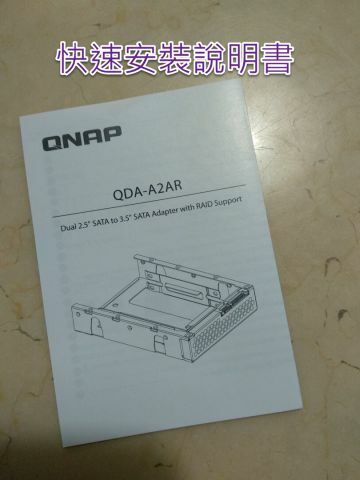 如果有內置 raidbox 需求, qnap qda-a2ar 係唔錯嘅選擇. 冇試過. 不過一般應該唔會咁樣做. 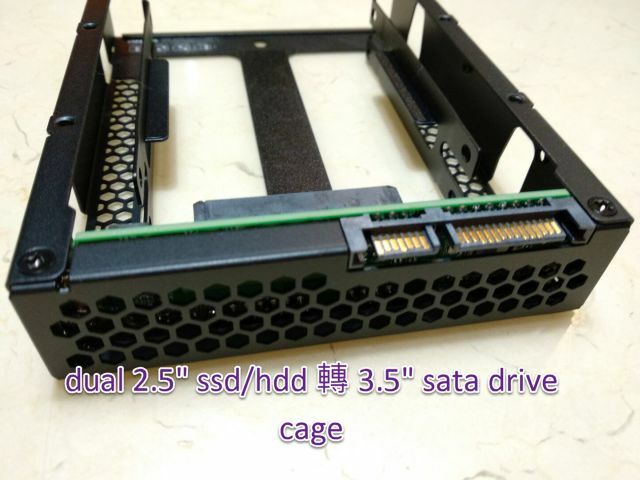 sata multiplier 恆定慢過 native sata. GMT+8, 2019-4-24 11:53, Processed in 0.030890 second(s), 4 queries.